Tamar Braxton plastic surgery rumors have been circulating for some time now. 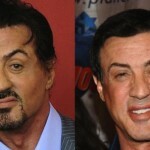 The rumors were sparked when a celebrity gossip website posted a photograph of the singer supposedly plastic surgery face. Tamara Braxton is the youngest of the Braxton siblings. In 1992, Tamar began her singing career as a member of the group, The Braxtons which consisted of her other sisters. She launched her solo career in 2000 with a self titled album which proved unsuccessful. The singer took a thirteen year break and returned with a bang with a second album titled Love and War. Tamar now co-hosts a talk show with four other celebrities. She also co-starred in the reality TV series Braxton Family Values and Tamar and Vince which were both aired on WE TV. There are several allegations that Tamar has done rhinoplasty. 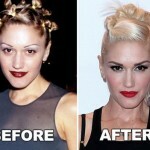 Before and after pictures of the celebrity confirm her nose to be thin and sleek, matching her face just right. There are also allegations that the singer has had breast augmentation and a face lifts but her before and after photos do not confirm any of this. In the wake of Tamar Braxton plastic surgery rumors, the singer has admitted that she did in fact get a nose job. However, contrary to what her critics think, this was not done for superficial reasons. In an interview with Ebony Magazine, Tamar said that she did surgery on her nose but it was a medical procedure. She said that she was not born without any cartilage in her nose and it presented a host of unpleasant problems including difficulties in breathing, as well as snoring problems. A piece of cartilage was removed from one of her ears and placed in her nose. Braxton said that implants were used the first time she did the procedure but she had to have them removed. The singer added this issue is a family one, as both her father and her older sister, Toni Braxton have had surgery done on their noses for the same reasons. In light of the other Tamara Braxton plastic surgery rumors, regarding a facelift and breast augmentation, the star said that everything on her is real. She however added that she may not be able to say that after the birth of her baby because she might get her breasts done. She jokingly added that she couldn’t live with her breasts falling down to her ankles. 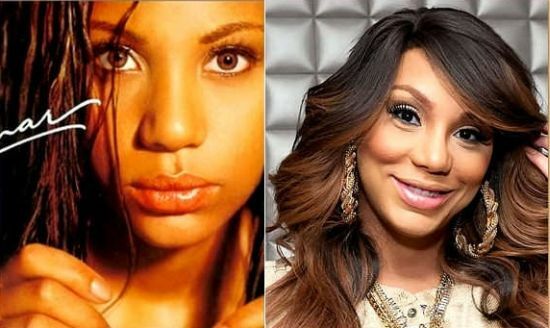 Yes, Tamar Braxton has had surgery done on her nose but it is not at all plastic according to the singer. Despite her candidness about this procedure, many of her fans and critics alike do not belief that she is being truthful about the breast and facelift allegations. As a result, suspicions are still high regarding Tamar Braxton plastic surgery. There are not many celebrities that are quite as candid as Tamar Braxton but do you believe that she is still not owning up to the other allegations?